A genetically modified apple variety developed in British Columbia that stops cut apples from turning brown is causing controversy among apple farmers in Nova Scotia. 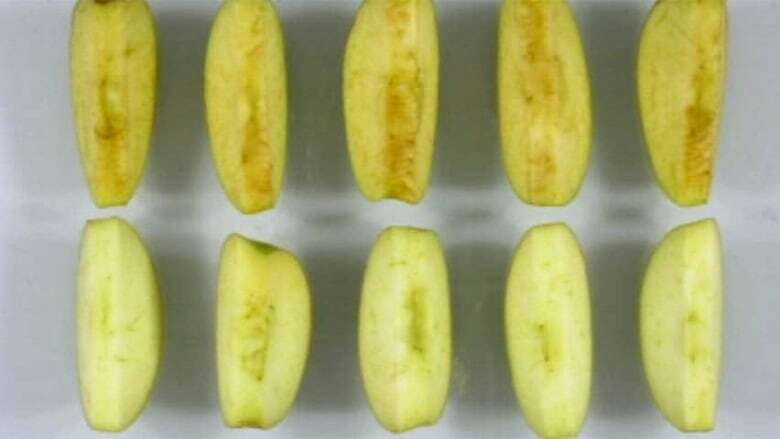 The Arctic Apple doesn't oxidize — or turn brown — because its developers have figured out how to silence the genes that produce the browning enzyme. It was developed by Summerland, B.C., grower Neal Carter, who is pushing for Health Canada approval of the apple variety. He said the apple will do great things for the industry by preserving more fruit throughout the production system — especially when it comes to the pre-sliced, ready-to-eat market. Carter founded the British Columbia-based Okanagan Specialty Fruits, an agricultural biotechnology company. Rob Peill, with the Nova Scotia Fruit Growers' Association, said he's worried the modified variety will hurt the reputation of Canadian apples. "That apple is an apple that interests the fresh-cut market — that's the apples that are sliced and packaged because they're very attractive when they're not brown in their package," he said. "That's a very small market and at this point in time, our industry looks at that and says, 'Is it really worth taking a chance with the public perception of apples in Canada?'" Regulators in both the U.S. and Canada are deciding whether to allow the variety to go to market. In November, the Arctic Apple took a step forward in the regulatory approval process south of the border when the U.S. Department of Agriculture posted two assessments of it. 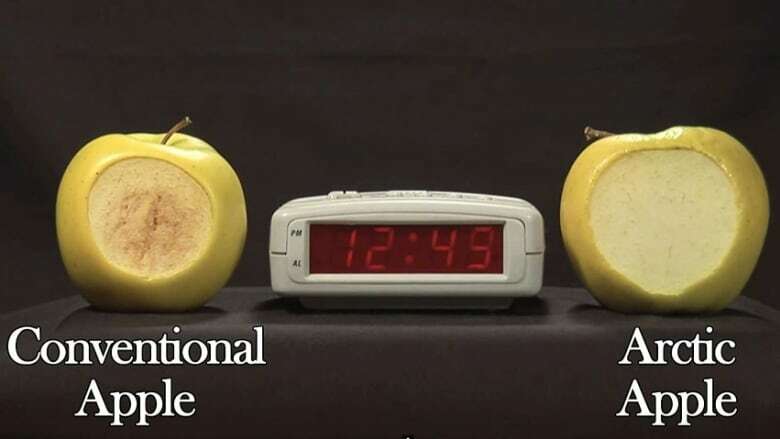 In January, the USDA released a preliminary conclusion that the modified apples are as harmless as conventional ones. The Arctic Apple is also being reviewed by Health Canada, and Carter is hopeful his product will be approved in both countries by the spring. Even if Carter's apples get approval, it would still be a number of years before the apples begin showing up on grocery store shelves. Peill still worries what this means for conventional apple growers. "The concern that our industry has with this GMO apple is the impact it's going to have on the marketplace and how the consumer will react to it," said Peill. But Dan Shaw, a marketing expert at Dalhousie University, said that could be a good opportunity for conventional Nova Scotia growers. "I think there's an opportunity for our growers to position themselves as non-GMO. So there's an opportunity to grow our brand and educate the market so we can take it from a positive point of view and make sure that we're clearly differentiated from those GMO apples," he said.